In Piano Migrations nature appears to control machines as they come together to create a delicate and ever-changing musical score. The insides of old pianos are recycled into a trio of kinetic sound sculptures. 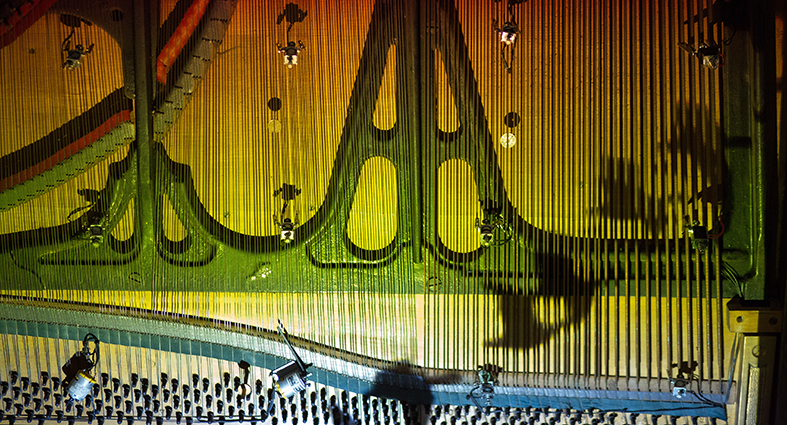 Videos of migrating birds are projected directly onto the piano strings. Their movements and flight paths trigger small devices that gently pluck and tap the piano strings to create gamelan-like music.